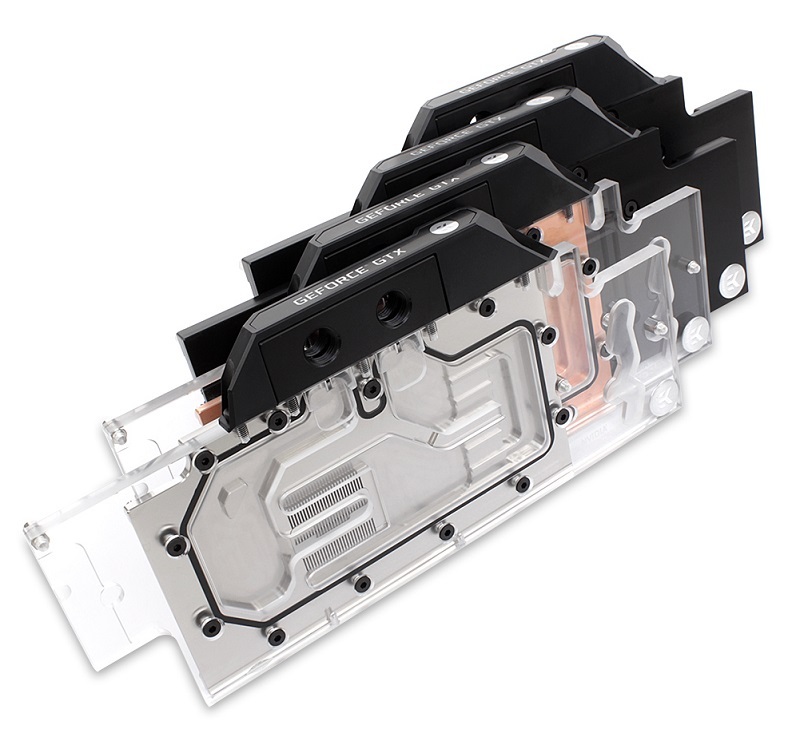 EK has now announced their new GTX FE series of waterblock, which supports all GTX 1060, GTX 1070, GTX 1080, GTX 1080 Ti Founder Edition GPU designs. Read more on EK's GTX 10 Series of Founders Edition water block. nVidia is really pushing hard with GEFORCE GTX branding on everything GPU related. yep and I find it ugly. Its a big eye sore when I see a GPU with EVGA, MSI, GEFORCE GTX, ALPHACOOL etc etc plastered on the side. Up to now that is why I love EK waterblocks, because they didnt feel the need to emblazon their logo or AMD/Nvidia on the inlet block... at least until now. It's all very tacky to me. And as much as I love the quality of the EVGA products, I find their logo when slapped on their GPU the worst of all especially when they feel the need to tell us what version it is. "Superclocks OC2" "FTW3". I guess in future I will switch to bitspower gpu blocks then. Now that EK are sponsoring logos. It feels like its got to the point that they need to use immature model naming to keep people interested. As far as mobo go at least EVGA hold the title for me as most attractive aesthetics there, but for GPU, Nope! Now we get to add EK to the poor design group. I hope B negative wasn't part of the design Always thought he had good taste. Maybe EK can redeem themselves if that side section can be removed. Actually from the last time they did this to the 1080ti block the extra plastic with the text is optional.